Being the victim of a car accident is a stressful experience. The last thing you need is to have any issues settling your personal injury claim or getting what you deserve after your accident. That’s why it can be quite helpful (and beneficial) to hire a personal injury lawyer to help you fight your claim. In today’s society, it might not be surprising to learn that nearly one-third of the crashes that end in fatality are caused by speed, or that texting while driving makes it 23 times more likely that you’ll end up in a crash. Of course, you’ll notice that doesn’t say specifically that YOU were texting and driving. A lot of people do it, and if you’re on the highway, it is likely that you’re surrounded by at least a few drivers who are texting, video chatting, or otherwise engaged with their mobile devices while operating a vehicle. A personal injury attorney can definitely help you hold these people accountable if they cause an accident. A lot of drivers assume that their auto insurance company will take care of the accident claim and the personal injury involved. People aren’t aware that while insurance companies might go after another party for accident losses and financial reimbursement, they aren’t doing it with your best interests in mind. They are simply doing their job by settling the personal injury claim with enough money to cover the bills and pay for the damages. A personal injury attorney can help you file a lawsuit so that you can get the compensation, and more importantly the justice, that you deserve. Speaking of insurance, what if your company refuses to pay or disputes some aspect of the claim? You can, and should, fight back. Too many people assume they have to take whatever they get from the insurance company, but that isn’t the case at all. You deserve to not only be appropriately compensated for your accident, but to see the other driver held accountable for their actions that caused the crash in the first place. The insurance company just wants to get their money and get your claim settled as quickly as possible. Medical bills add up quickly, and depending on your insurance policy, some of them might be disputed by the insurance company. Not only that, but some bills or procedures might require payment up front. You have to make sure that you have all of the correct documentation so that the insurance company will reimburse you for the expense. Do not pay for anything related to your accident out of pocket until you check with your insurance provider to make sure that they will reimburse every penny that you have to spend. Most accidents happen within 25 miles of your home, and during the hours of 3-6 PM. 2.3 million people are injured annually in car accidents. Over 10,000 people were killed in drunk driving accidents in 2015 alone. If you want to make sure that you get the outcome that you deserve from your accident settlement, contact a personal injury lawyer now. You can discuss your case and get advice and support in fighting back against the insurance company, and you won’t have to worry about facing this stressful time on your own. Contact us to learn more or get started on your personal injury lawsuit today. Very few events disrupt lives like auto accidents. Not only are serious accidents a problem, but minor collisions that do not result in long-term personal injury can also be frustrating experiences when there is significant financial damage. Even a moderate personal injury can result in lingering physical impact and problems functioning on a daily basis. And of course, accidents that produce long-term personal injury are also very serious cases that require solid aggressive legal representation when victims are pursuing whole damages. Catastrophic injuries typically last a lifetime, and it is important for those who are permanently injured to be compensated wholly as soon as possible following the fact. Sadly, this is not always the case even when fault is obvious and insurance is in place to cover the financial reimbursement, as many defendants and their insurance companies will delay a claim or even allow it to go to a full trial if there is a possibility of a reduced final payout. Regardless of the material facts of a a personal injury auto accident case, it is always vital to have experienced legal representation when filing a claim. Many personal injury accident claims hinge on the official accident report, which is also commonly influenced by the insurance company accident reconstruction team. Not only does the state have an investigation team evaluating the accident, but most insurance companies do as well. Having your own legal team from the very beginning can be very important when fault for an accident could be shifted to an injured driver by a respondent insurance company adjuster who thinks they can avoid paying a claim. Fault is always central to an auto accident case, and states that use modified comparative negligence law can be trouble for injured drivers who are the target of this defense. 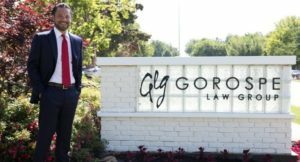 An aggressive personal injury attorney in Tulsa can then build a solid case countering any attempt by the defendants to deflect responsibility. Comparative negligence percentages can only be officially assigned by a jury in a full trial, but it is still always part of a claim negotiation in serious accident cases. Most cases settle out of court, and those with legal counsel tend to receive significantly more in financial compensation. Everyone who is injured in a car accident wants equitable compensation. Insurance company adjusters understand that. They also understand they are obligated first to the company profit margin and secondarily to the claimant, even in an obvious case where the insurance carrier will be required to pay benefits. The process for the insurance company then becomes how to reduce the settlement as much as possible. Many insurance companies act very amiable and make a low-ball settlement offer complete with full release of future medical coverage, which is always a red flag to retain a personal injury attorney immediately. 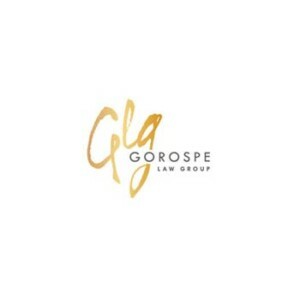 Whole damages should always include a considerable and equitable general damage payment for non-economic pain-and-suffering incurred following the accident injury. Insurance companies always want to avoid this component of a settlement, and a comprehensive personal injury attorney will understand how to calculate a reasonable damage amount. Damages for mental anguish associated with the accident should also be included, and many times the combination will result in a maximum insurance coverage settlement if not whole damages. Many auto accidents include more than two vehicles, which means that cases can easily be complicated. All parties will be addressing fault, and they often have competing versions of events. Truck accidents that result in pile ups are a prime example of how contested a vehicle crash case can become. Trucking companies and their insurance providers are well-known for trying to get ahead of the curve when positioning themselves financially following a truck wreck, and this can actually occur in any commercial vehicle crash. In addition, collisions that are caused by malfunctioning automotive equipment can result in product liability cases that can greatly enhance an auto accident personal injury claim. Maximizing a personal injury claim is important, and your attorney will focus on all avenues of compensation. It is never a good decision to attempt handling a personal injury claim without the benefit of solid representation by an experienced Tulsa personal injury attorney who understands what to expect from the opposing litigants. Building a sound case for maximum value can be difficult, and you only have one day in court for the most part when being injured in an auto accident. It is vital to make it count, and the attorney you choose can matter. Always select a personal injury attorney with a long track record of excellent results for their clients. 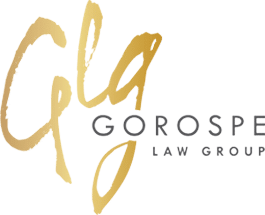 If you or a loved one has suffered a personal injury in Tulsa, The Gorospe Law Group personal injury law firm in Tulsa, Oklahoma can assist you to help you claim the compensation you deserve. Contact a qualified personal injury attorney in Tulsa today at (918) 582-7775. Being injured due to the negligence of another party is always a bad experience. Our health is commonly the most important component of our personal lives and injuries can hamper all types of activity, including merely getting through the day for those who are seriously injured. Equally as frustrating as being injured is attempting to recover financial damages that are so common with personal injuries as well. Often times people who have been needlessly injured will not be able to work, which is only means of financial support for most people. And then, to compound the issue, there are medical bills and the need for transportation to make all medical treatment appointments. When all of the problems associated with an injury are considered, it is difficult to know exactly where to turn first for direction through the legal maze of dealing with insurance companies and their negligent clients. This is where having an experienced personal injury attorney can make a major difference in being properly compensated. While many personal injury victims understand they can be compensated for their medical bills and lost property, such as a totaled vehicle from an auto accident, many people do not realize the extent of additional general damage claims that can be made. In addition, many individuals also do not understand how comparative negligence works when it comes to insurance claims. Comparative negligence is commonly the primary defense from insurance companies who are reluctant to pay a claim, usually stating the claimant was largely responsible for their own injuries. It is important to understand the court may not view recovery rights in the same mode as the insurance company adjusters, but not having a personal injury attorney keeping them honest could result in a small settlement at best and no compensation at all in some instances. This is why everyone has the right to a day in court with their case being represented by an experienced legal professional. The first step an injured accident victim will usually take is contacting the respondent insurance company in order to file a claim. All insurance companies have a standard protocol when any claim is filed, including dispatching an accident evaluation team to investigate what actually happened. Agents are generally friendly at the time of the first contact, asking specific questions regarding the claim, but the information gathered by the accident team in addition to information gleaned from the claimant will then be used by company claims adjusters to determine what if any benefits they will be required to pay, usually based on the level of negligence of their client. All injured claimants should understand that Oklahoma is an “at fault” state that implements modified comparative negligence when determining the amount of insurance recovery an injured victim can receive. While injured passengers rarely have any comparative negligence percentage, injured driver claimants are always assessed for personal contribution to causation of the accident. The respondent insurance company will typically over-state personal contribution to the accident as a potential means of reducing a claim or an outright reason for denial, which is exactly why it takes a detail-driven personal injury attorney to secure an equitable settlement. Claimants are always at a disadvantage when trying to settle a personal injury claim without the benefit of experienced legal counselor because all insurance claims adjusters are trained professional negotiators who deal with denying or reducing personal injury claims on a daily basis. In addition, when they think they can avoid a claim altogether or lessen the value significantly, they will usually make a quick unsubstantial settlement offer or force the case to court. A personal injury lawyer can inspect all articles of evidence, including cross-examination of accident reconstruction officials, and craft a case for maximum recovery for their client. Attorneys are officers of the court as well police officers and have the legal authority to conduct a separate investigation on the behalf of their injured client in support of a whole damage claim.